Just wanted to share a couple of motherly – or in these cases grandmotherly – images from my vintage photo collection in honor of Mother’s Day. 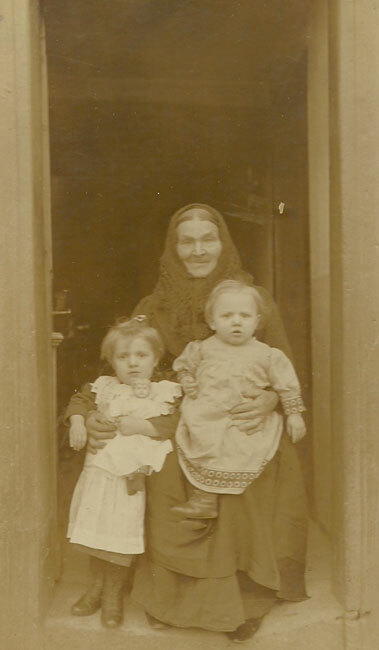 I spent my Mother’s Day doing what I enjoy most – antiquing with my family – and I turned up this circa 1880-90 photo at a Pennsylvania flea market earlier today. This looks like an immigrant grandmother cuddling her young grandchildren. Note the antique doll – and grandma’s warts! 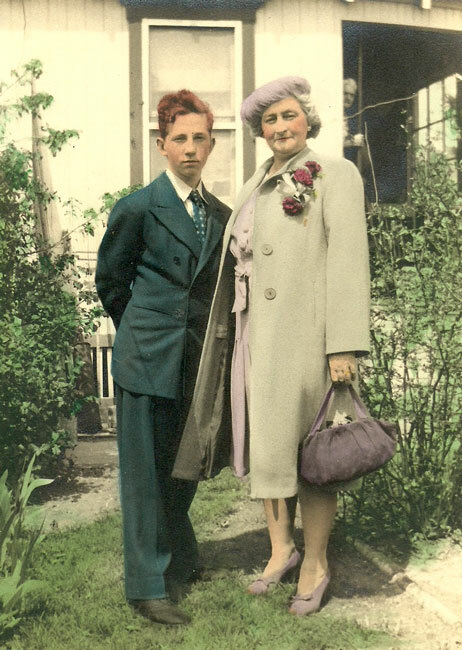 This hand-tinted photo from the 1930’s shows a proud grandmother with her decidedly uncomfortable grandson. The facial expressions and body language say it all. Based on grandma’s spring coat and corsage, this most likely was taken on Easter, but it could have been taken on Mother’s Day as well. Look carefully and you’ll see grandpop with coffee cup in hand, too. Happy Mother’s Day to all the moms out there. Maybe next year I’ll show lovely young mothers with their beautiful babies, but ferreting out photos like these is much more fun. This entry was posted in 1800's, 1930's, Americana, Carol, Photography. Bookmark the permalink.